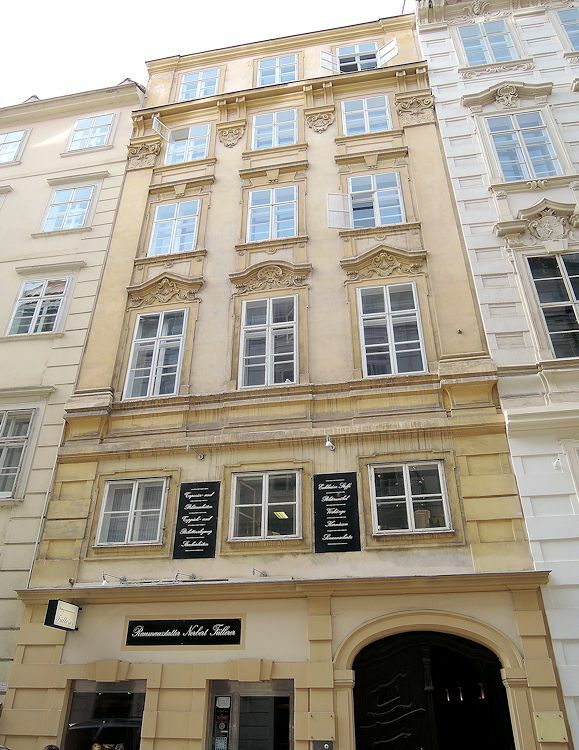 Anton Gräffer was born on 19 May 1786 in the house Kleeblattgasse 7, the third child of the bookseller August Gräffer and his second wife Katharina, née Königsberger. 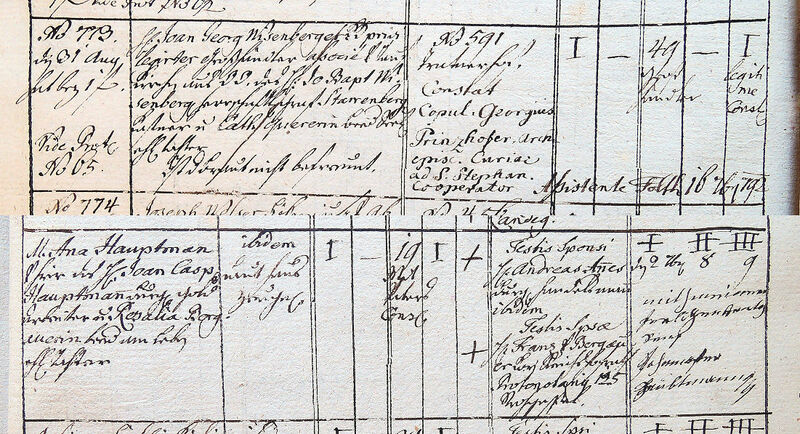 When in September 1783 his father wanted to marry for a second time, he applied for an exemption from the three publications of the banns. He wanted to be married in secrecy, so as "not to reveal his preceding misconduct" (i.e. 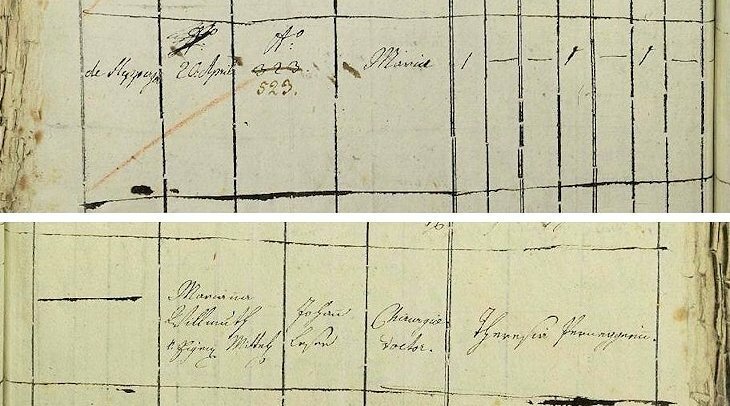 his bride's pregnancy) and "to hide the fact that he was about to marry a penniless girl from his friends, because the loss of their support would pose a risk for his business". 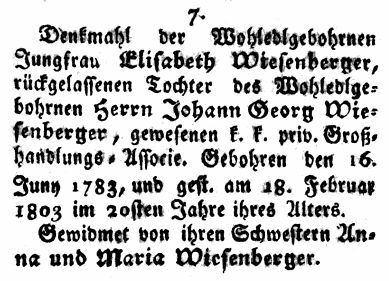 After her husband's bankruptcy in 1793 the penniless and illiterate Katharina Gräffer (b. 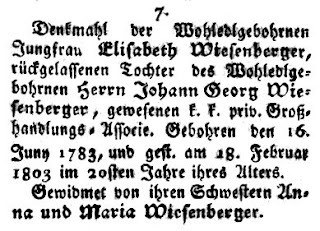 30 October 1755 in Valtice) however proved to be indispensable, because she was entitled to maintain the bookselling privilege and in 1798 managed to establish a new business which she successfully expanded with the help of a sponsor and her two sons. 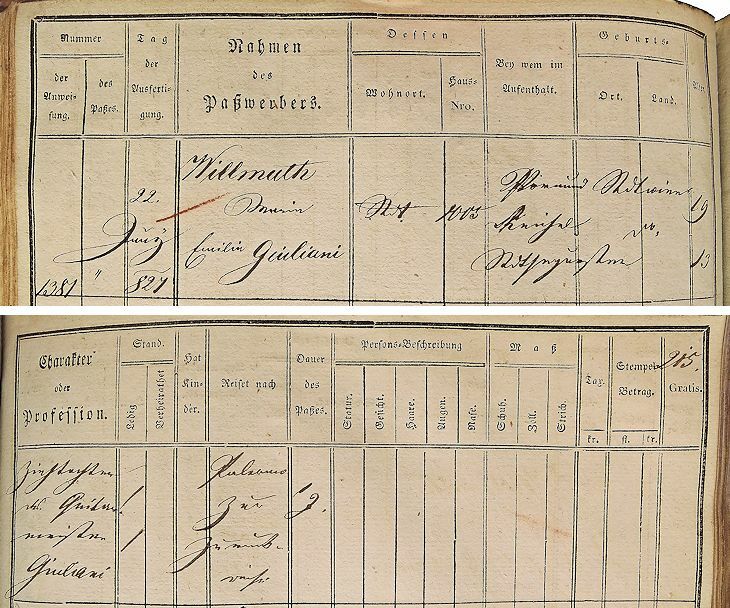 Anton Gräffer was a variedly talented man who failed at so many business enterprises that for most of his life he called himself "Pechvogel" (unlucky devil), an epithet that was publicly associated with him as late as 1886. 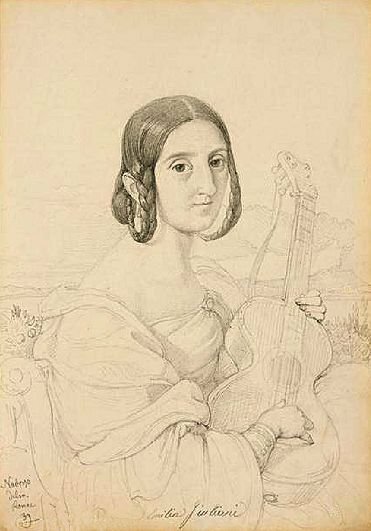 Beside his job as accountant in his mother's shop Gräffer studied landscape painting at the Vienna Academy of Fine Arts and also became one of Vienna's most accomplished guitar players. 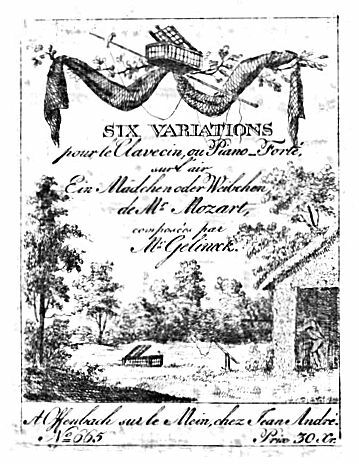 For several decades Anton Gräffer was one of the most sought after guitar teachers in the Imperial City and in 1811 and 1812 he published a popular guitar method in two volumes. 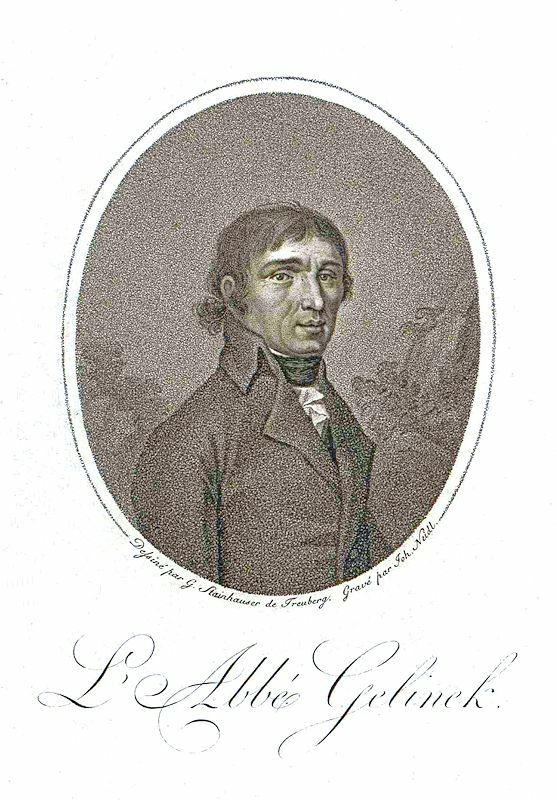 Anton Gräffer composed many pieces for guitar, but he also wrote music for piano, for instance the tone painting "Der Friede" which he published in late 1813. 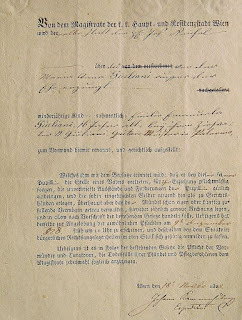 Gräffer's mother wanted him to marry a friend of his eldest sister, but, like his father 30 years before, he (as he puts it in his memoirs) "committed a mistake that he had to repair for the sake of the honor of his parents-in-law", in spite of the fact that his future wife "was enlightened enough to be willing to postpone their wedding to a later time, when he would have had a decent income." 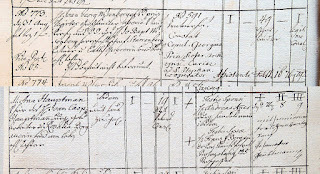 In 1813 Anton Gräffer impregnated Franziska Baillet (b. 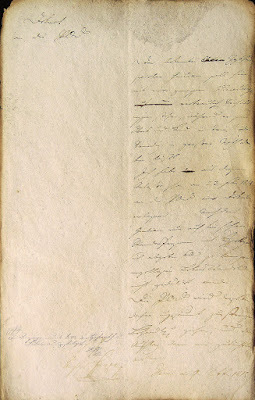 17 November 1786), the daughter of his father's good friend, the teacher of French at the Theresianum Leopold Baillet (1749-1814) and to amend the mistake he had committed he married her on 17 October 1813 "against the prudent advice of his friends". 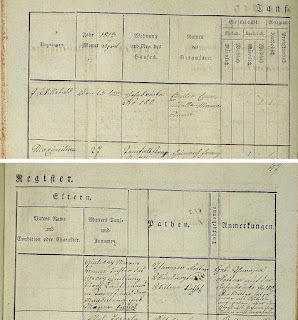 His first child Maria Johanna was born on 14 January 1814. 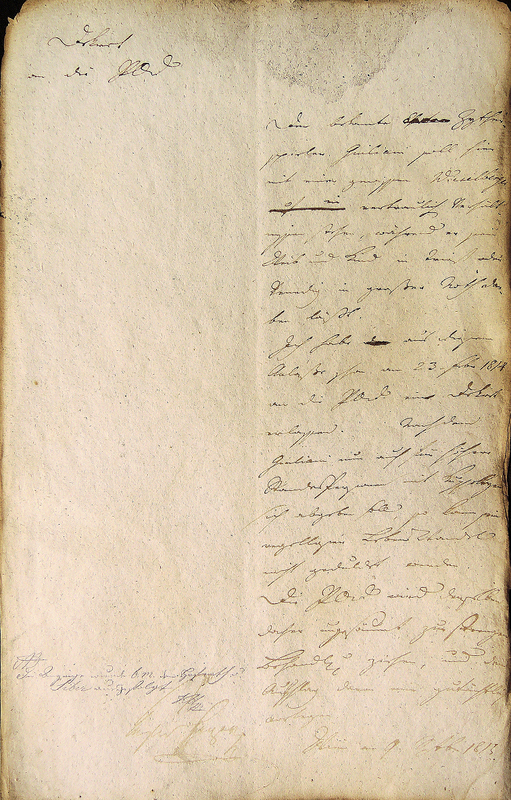 In his memoirs Gräffer describes the predicament of the early years of his marriage: "That way one child after the other appeared and from that time on I always had to fight against worries and hardship, because everything I undertook failed; every speculation, however safely it had been calculated and however unlikely it was that it would not result in a small advantage for me, was undone by unthinkable obstacles and fatalities." "If I had become a hatter", Gräffer writes in his memoirs, "people certainly would have been born without heads for the only reason of having fate still turning against me." 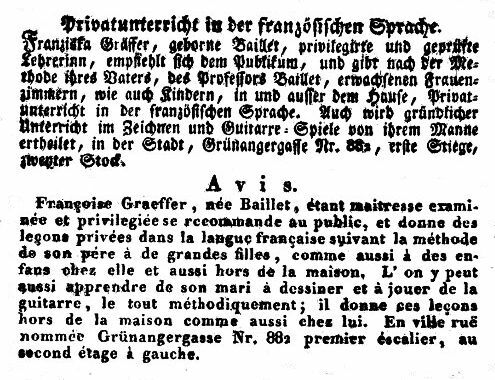 In early 1814 the livelihood of Anton and Franziska Gräffer was based on giving private lessons in French, drawing and playing the guitar. 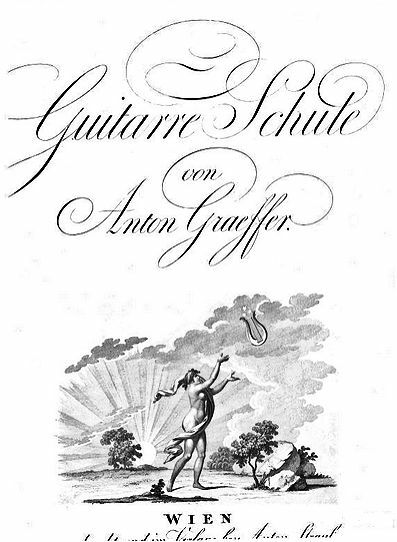 Anton Gräffer refers to his work as guitar teacher as follows: "I on my part took refuge with my instrument, although at that time it already started to go out of fashion and only Maestro Giuliani still preserved its popularity. Thus we spent the first years of our marriage giving lessons." 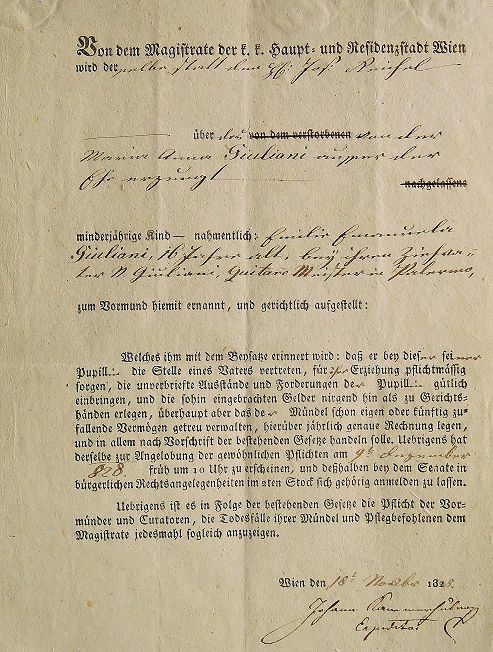 In 1815, in the house of Joseph Hardtmuth, Gräffer made the acquaintance of the publisher Peter Cappi who brought him into contact with the art dealer and publisher Domenico Artaria, who hired Gräffer as accountant and appraiser. 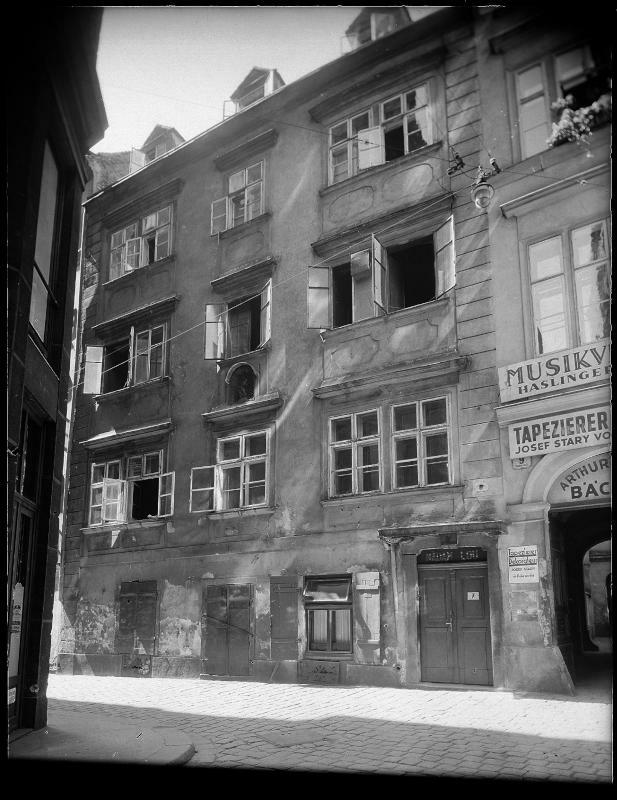 Anton Gräffer was well-acquainted with prominent musicians of his time: he knew Legnani, Mertz, Rossini and Weber, was a friend of Beethoven, and the noted music publisher Tobias Haslinger was his brother-in-law. 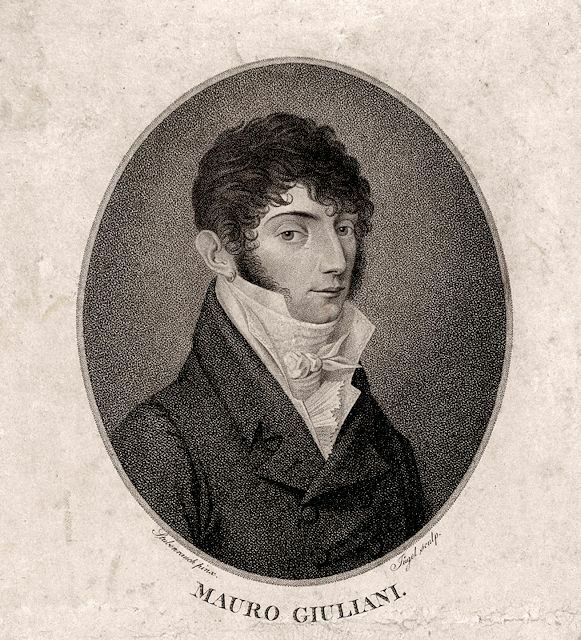 Gräffer gave guitar lessons in the home of the court agent Joseph von Pernold, Ritter von Berwald und Bernthal who in 1817 was Mauro Giuliani's landlord. Around 1850, two years before his death, Anton Gräffer wrote down his memoirs in an autograph manuscript which today is held by the Wienbibibliothek (H.I.N. 129.388). 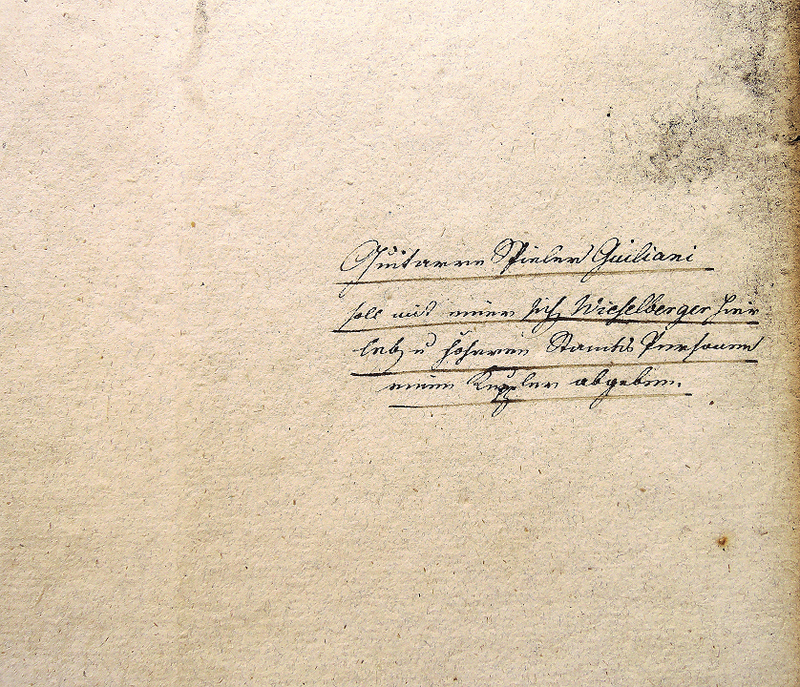 The manuscript is titled "Autobiographie aus dem Tagebuche eines Wiener Unglücksvogels gezogen, und herausgegeben von Peregrinus" and contains many anecdotes related to important musical personalities, some of which have been published in recent years. 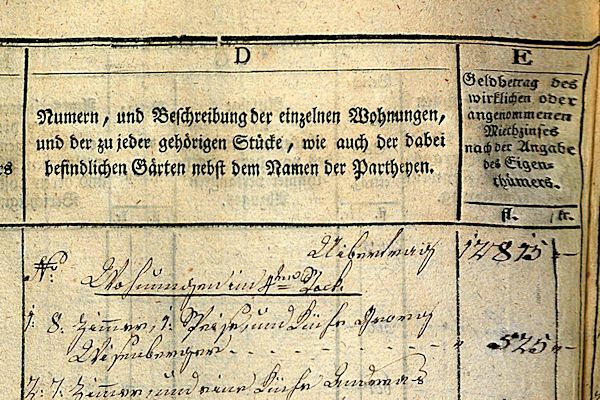 The following anecdote, preserved in Gräffer's manuscript, describes Mauro Giuliani at a social gathering, poking fun at the Bohemian priest and composer Joseph Gelinek, who claimed that Giuliani's German was not good enough to improvise a German verse. 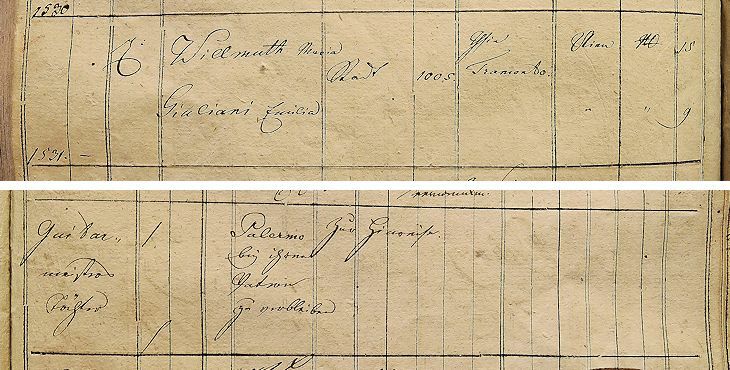 Two things have to be noted in advance: 1) Giuliani's fantasy word "Derek" may be a corrupted tradition of the word "Dreck" (crap) and 2) according to the entry in Wurzbach's Lexikon Abbé Gelinek left a fortune of 42,000 gulden that he had amassed with his countless piano variations. 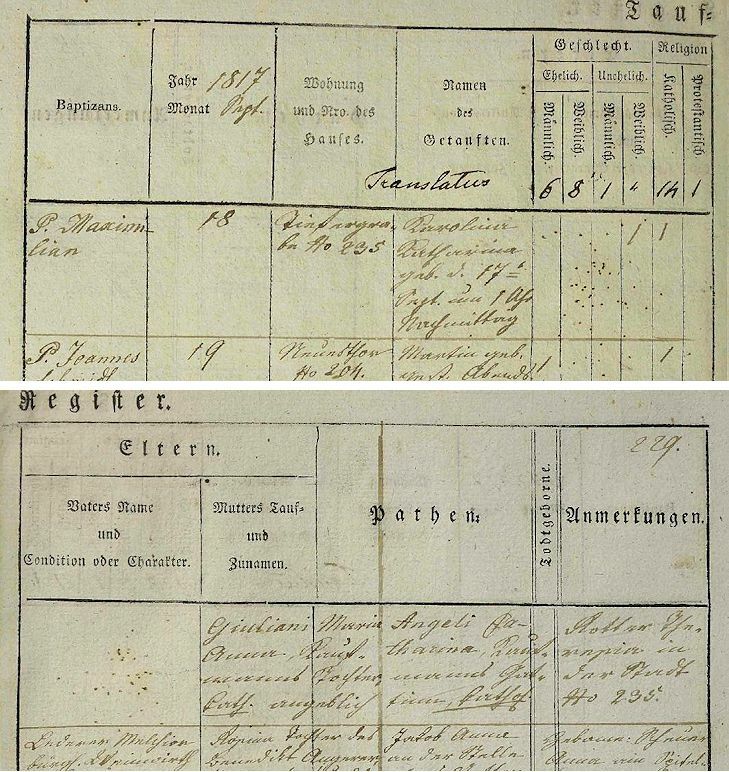 Anton Gräffer died on 17 October 1852 at 6 a.m. in Klosterneuburg and was buried on 19 October 1852 at 3 p.m. in the now closed down cemetery that once surrounded the church of St. Martin (Klosterneuburg, St. Martin, Tom. 7, fol. 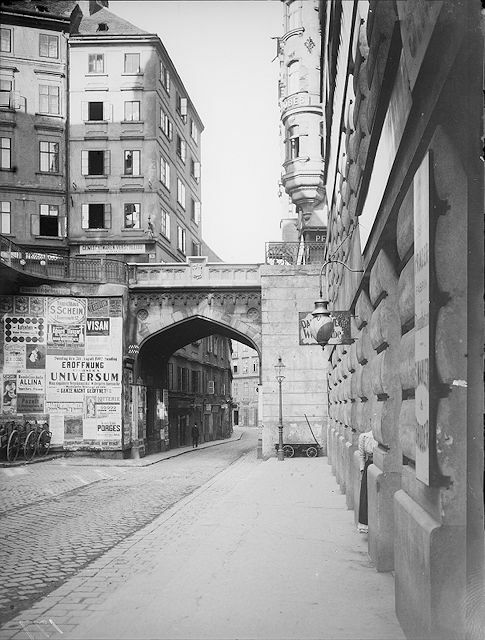 180). 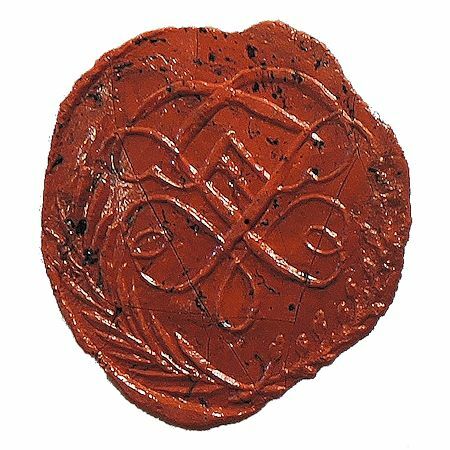 Dieser wurde darüber vor Zorn entflammt, schimpfte auf die lachende Gesellschaft und beleidigte sowohl diese, die ihn besänftigen wollten als hauptsächlich den Giuliani; nahm Hut und Stock und stürmte lärmend zur Thüre hinaus und davon. Jetzt ging erst das Gelächter recht vom Herzen los. 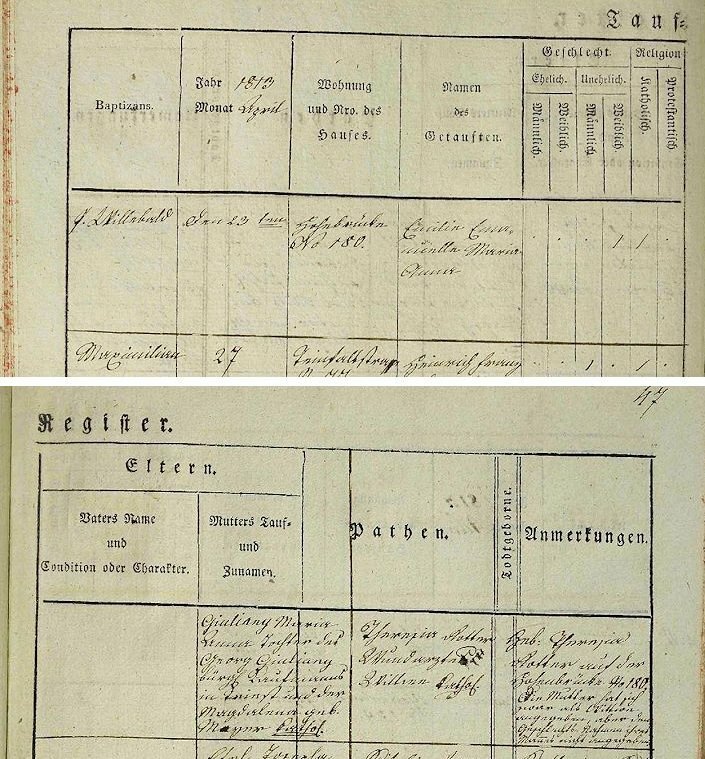 Von der Zeit an kam er nie mehr in eine Gesellschaft wo Giuliani geladen war, und als einst dessen Anwesenheit verlängert wurde, um den Spaß zu haben, beide zusammenzubringen, so kundschaftete Gelinek in der Folge die Diener und besonders die Mägde aus, welche alle in den schönen Italiener verliebt waren, und fragte sie einschmeichelnd jedesmal: "Seynd Giuliani da?" Gelinek became inflamed with rage, cursed at the laughing circle and insulted both those who wanted to appease him and primarily Giuliani; took his hat and stick and noisily rushed out of the door and away. Only now the hearty laughter started all over again. From that time on he never came to a gathering where Giuliani was invited, and when once Giuliani's presence was prolonged in order to have fun by bringing them together, Gelinek subsequently began to inquire with the servants and especially the maids, who were all in love with the handsome Italian, and each time asked mellifluously: "Is Giuliani here?"